Carlos works in adult and professional education. He is highly interested in developing learning experiences in the online world where crowds can self-organize to learn. Carlos’ upbringing in Lima during a period of economic depression marred by serious threats to the country’s democracy from the “Shining Path” terrorist group has influenced his academic and professional life. He has a deep commitment to ensuring that Peru’s future leaders have the training to inspire and manage democratic and sustainable development. While still an undergraduate at the Universidad del Pacifico, Carlos worked as an Associate Researcher at the University’s Research Centre, and published several articles on economic and social policies. He received several research grants notably from the Government of Canada (CIDA) and the United Nations Population Fund in Peru. After receiving his B.A. in Economics, he worked for two years in the Office of the Rector of the University and as a Teaching Assistant for Economics and International Relations courses. During that time, he also participated in research projects related to international topics for OXFAM-UK and the Ministry of Foreign Affairs of Peru. 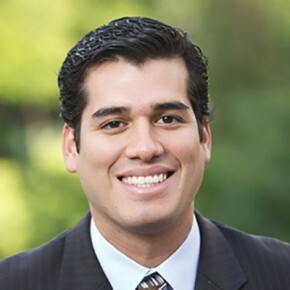 In 2007, Carlos successfully completed the Global Competitiveness Leadership Program at Georgetown University, Washington D.C., a program designed to train and empower potential leaders from Latin America. This was followed by a period as consultant to the Peruvian Ambassador to Washington for the negotiations of the Peru-U.S. Free Trade Agreement. In the latter capacity, his interaction with top public and corporate leaders from the United States and Peru confirmed his belief in the critical importance of formal leadership training, with some emphasis on change management, to ensure the healthy development of a country. He designed a program based on the Georgetown model and implemented it in his country, so that other young leaders from the many regions of Peru might benefit from this enriching experience. Since then, he has been collaborating with the Universidad del Pacifico in the development of leadership training programs and this year, the new Centro de Liderazgo at Universidad del Pacifico is launching its first initiative: the Leadership Program for Social Innovation. This program – designed by Carlos – brings together young entrepreneurs from the nonprofit, public and private sectors to provide them with practical training in managing and leading processes of social innovation. Back in Lima, he worked as a consultant in leadership and organizational development at APOYO-Human Trust. While working with organizations with different employment settings, such as big mining corporations and new emerging enterprises, he was in charge of projects dealing with managing change, teamwork dynamics and coaching high potentials. Carlos points out that Peru is a country that has been going through massive changes in the last decades and due to the economic growth of the last years, is currently at a critical point of its development. He is convinced that in every community, there are potential leaders committed to the development of their organizations and regions and that the impact of these potential leaders can be enhanced with the right training, networks and motivation. He is currently pursuing a PhD in Management at McGill University. How can MOOCs revolutionize the way we learn? As a Fellow, Carlos deepened his understanding of how managerial and leadership training can be designed and provided to public and private organizations so that all levels of management can efficiently address societal demands.